You have your home, complete with a garden. So you’re thinking of getting a pet. That’s great! However, with the new addition to your family, there are extra things to consider when designing your garden. Follow this guide to make sure your garden is pet proof. It is important to choose the right fence for your garden if you have pets. Make sure the fence if high enough so your pet can’t jump over it, and check the perimeter to make sure there are no holes your pet can escape through. It is particularly important to find the right fence if you have a cat, as they have the ability to climb and like to explore, which can be dangerous if you live near a busy road. Fencing to consider includes inward-curling, semi-flexible fencing that cats don’t like to jump onto, or fencing with inward facing overhang that prevents cats from climbing over the top. Having a scenic garden is great, but be careful to make sure you don’t unwittingly poison your pets with the plants you pick. Some pets will have a nibble on plants when bored, so having plants which are toxic to them could be disastrous. Take a look at this list to make sure your garden is poison free. Another way pets can accidentally be poisoned is through the use of slug pellets to keep plants safe. The pellets used to poison slugs can be eaten by a curious pet with disastrous consequences. So make sure to instead use pet-friendly slug pellets, or home-made beer traps. It is important to keep the gates to your garden secure so a pet doesn’t escape. A great way to do this is to install self-closing mechanisms on the gates, such as a gate spring, so they aren’t accidently left open. Otherwise, you could install locks on the gates so they can’t be opened by family members. If you have gardeners or builders working for you, make sure they are aware you have a pet, so they don’t accidently let the pet escape! Check the perimeter of your house of make sure that there aren’t any exposed wires that your pets can chew. Electrical wires can be dangerous if chewed, so make sure you block access to them if there are any visible. If you have a pool, make sure there is a fence surrounding it and the gate is locked when not in use. Dogs in particular love to swim, but pets can and have drowned in pools, so it is important to make sure they can’t do it unsupervised. 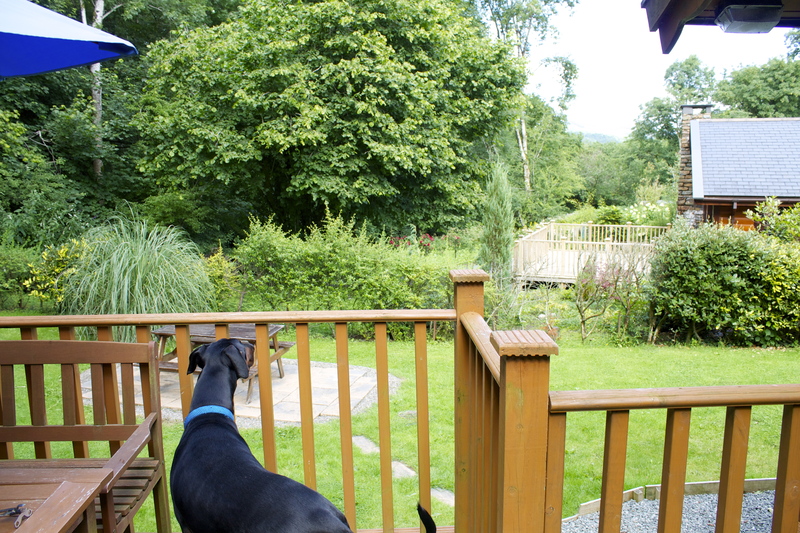 Garden furniture can be viewed by pets as something to chew or scratch. So make sure to keep them safe. Keep items such as hoses or outdoor furniture cushions out of pets way when not in use, and for larger furniture it could be a good idea to invest in an animal deterrent spray, or create your own with vinegar and water.